RoyJohn, Thanks for taking the time to share your knowledge! I will experiment with increased psi and observe melt times. What is the best hammer to forge a bar ingot for sheet? Based on some research on the forum, for my bar ingots, I used a cross peen hammer, going at a 45 degree angle (basically diagonal), then flipped and repeated on other side…then flipped back and forged going at a 45 degree angle in the opposite direction. I figured I would ask before continuing on in my forging. Julie- I use a sledge hammer that has had the face polished. I forgot to give the hat tip for the link I posted earlier, regarding a sledge hammer. This video is from the Ganoksin Learning Center, and is an article by Ronda Coryell, and covers the steps from making bar and rod ingot molds out of charcoal blocks, mixing and melting alloy, forging, etc in the process of alloying gold for granulation. Very informative article! An alloy is by definition a mixture of two or more metals. This article shows the method of alloying gold for granulation on a 22kt gold. I use a plain, ordinary, cheap, hardware store sledge hammer with the face it came with–very not polished…:-)… The first pass in the mill makes it smooth and shiny (sheen-y), so you needn’t spend a lot of money on a quality forming hammer just for this. I just weighed it—it weighs 2 lbs. 10 oz. For small melts, you can’t beat charcoal blocks! Iron molds require a lot of heating. I have recently been melting 14K scrap in a groove in a charcoal block without borax, and it comes out fine. I do flame the pieces in alcohol/boric-acid beforehand. The big advantage to the charcoal block is that you don’t have to pour–you can melt the scrap right in the groove! Home Depot the other day…it caught my eye because it had the cross peen face on one side…I think I “need it”!. purpose Home Depot 1lb and 2 lb sledge hammers that I had purchased to use with my Swanstrom disc cutter (until I was advised to instead use a brass head hammer on this tool so as not to damage it!). I will test those out with my forging. I do like the idea of using a more substantial hammer to do more of the work for me. I have the Fretz sledge hammer, which is a lovely looking hammer and very nice to hold and if you’re pounding on thinner sheets of metal it’s great. To forge you need some weight or you’ll have to put a lot more of your own muscle behind it with the thicker ingot. I also have the Peddinghaus sledge hammer. The Peddinghaus’ face is about 2 1/2 time bigger than the Fretz.Uploading… Uploading… As a personal rule of thumb I forge ingots down to at least 10 gauge before I start rolling. If you have a kiln, a kiln makes annealing a snap. I use a kiln when I’m depletion guilding my home made reticulation silver ingots. Forging is not a procedure of brutal force and a heavy sledge hamers. Forging precious metal is done by the use of a peen hamer. This is the reason why its called peening. The goal is to break big metal crystal into many small crystals. workpiece 45° rather then a view blows of a heavy hammer. It is a time consuming procedure and time is money. One of the reasons why people don’t like to peen silver or gold. rather like to roll it down …period. every impact again and again and again. Not for heavy hammer blows but for many small ones. I’m not familiar with the new procedure of looking-up old articles. Will you please describe how you anneal in the kiln? Do you bring the kiln up to annealing temperature before starting? How long do you leave it in the kiln? How long do you wait before you open the kiln to check it? So you use a barrier flux? Yes. Bring the kiln up to annealing temp and place your metal into the kiln. I’m including some photos of the set up I use. With the exception of the reticulation silver I’m not timing anything, but go by colour. Depending on the thickness of the ingot, rod or sheet it varies significantly so colour is your best indicator. I use pumice in a stainless pan to heat. It produces even consistent results. Of course having a kiln with a window helps! Hope this information is helpful. Carrying on. I don’t use a barrier flux on the reticulation silver. Everything else is thoroughly flushed, using boric acid/ ETOH that has had the ETOH flamed off before it goes into the kiln. I don’t time anything but the reticulation silver. Everything is determined by the annealed colour temp. Having a kiln with a window helps. At the top of your screen on the right side are 3 icons: your Avatar, 3 horizontal lines and a magnifying glass. If you click on the magnifying glass, you get the archives search engine. Go ahead, enter a subject. After you start reading some of the threads shown by this search engine, if you post a reply to one of them, then that thread moves to the front of the Jewelry Discussion category. (One way to think of it is that your reply pulls the old discussion from the end of list to the beginning of the list.) In other words, the dates of the posts do not matter. The benefit of this system is that it can keep old discussions current. The disadvantage is that a thread might accumulate so many replies that it becomes a burden to finish reading that particular discussion, which has not yet happened here on Orchid. But I know of another forum that often has threads that exceed 200 posts which is too much to read; thus the most important answers are lost amid all the meaningless posts. Yes, I can’t imagine how long it would take to peen a 7 gauge ingot down to something that’ll roll down easily on the mill without taxing the mill too much. I’m a bit nervous to mill larger gauge ingots since snapping one of the gears. Sterling forges down pretty easily, but 3 oz ingots of 800 silver are a different story and respond better (quicker) to a severe beating with the 1kg sledge. I don’t have time to forge all day. Thank you Betty2 for the help!! Yep, I hear you @Sonja. 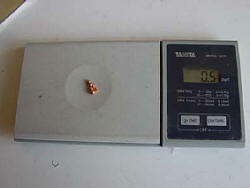 Working on 20 or 30 gramm bar or even less is another story as yours aswell. mill compared with a hammer. their way of approaching the forging process. Forging is much more then reducing the size of a piece. about how to forge precious metal. good information on how to forge and the procedure of it. I hope that article explains more then I can write. explains the way to forge with nice drawings. I just can find it at this moment. I too, have been searching for certain posts by Leonid Surpin, and temporarily gave-up the search, but your post reminded me to try again. Previously I only searched for subjects and felt lucky to find Leonid’s posts. But this time, I searched on his name, and at the bottom of the listing where it says “show more”, I see his avatar, a purple circle with L inside. I clicked on his avatar and it took me to his activity page, where I could see all of his posts. Then click on his avatar. I wonder if you are looking for an article that @leonid_Surpin wrote, which, because articles are classified differently, I don’t know if they are listed in the archives. But I have not had much luck finding specific articles, and I don’t know much about how to search for them. In case you do not know this, the articles and videos are located in The Learning Center, on the Ganoksin home page. You get there by clicking the top left side of your screen that says “Back to Ganoksin”, where you’ll see the highlighted link. @Pedro_Alonso-Sanchez. I’m always willing to try new techniques and if it makes it easier that’s great. Forging 800 silver ingots is probably my least favorite thing to do. As you say, some people have no problems with their heavy handed forging technique and I may be one of them. I’ve had no problem with cracking so far, but maybe it’s because I tend to forge a little and then anneal. I’ve never done a 50% reduction before annealing. More like go from 7 to 8 garage and then anneal. 8 to 9 gauge and anneal. And then when I hit 14 gauge I’ll start rolling down two gauges before annealing again. Who knows why this is working for me, I’m self taught, no formal education, the science is beyond me and I tend not to follow the main stream. Don’t get me started on soldering, lol! My point of view is not to change your way of handling. If it works for you well that is fine but their is always a “but”. Swimming against the straim can get you their. Anyway, forging is much more then size redudtion. wrote on very useful information. according the wayyou perform your forging. I will look into the Peddinghaus hammers as well, thank you!